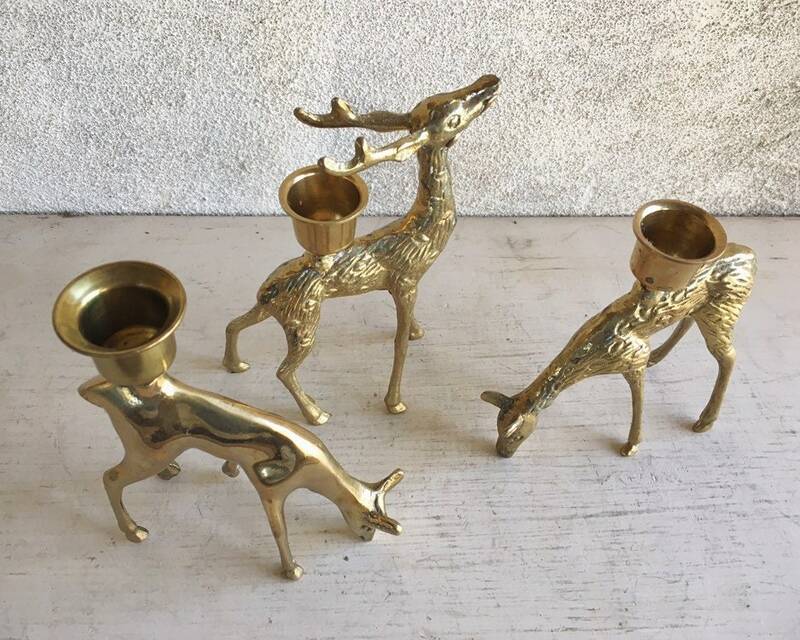 These vintage brass candlestick holders feature three deer, one with head up while two others graze. 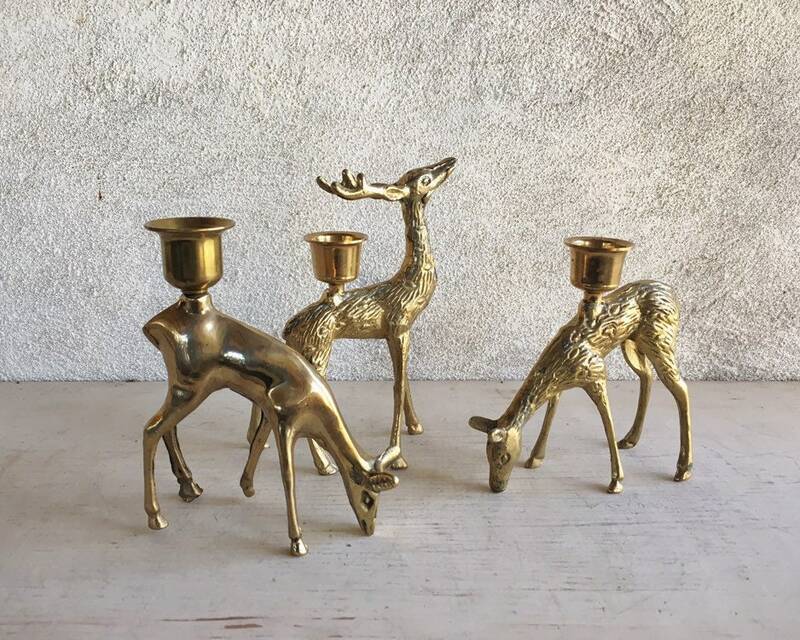 One of the deer is in a smooth brass finish while the other two have a textured surface. 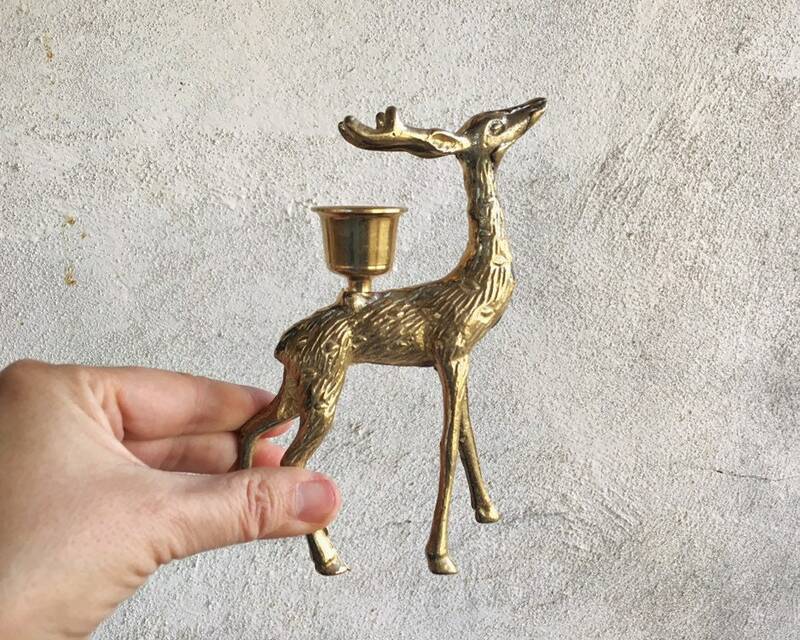 Perfect for the holidays, symbolize peace and harmony, as well as gentleness and sensitivity. 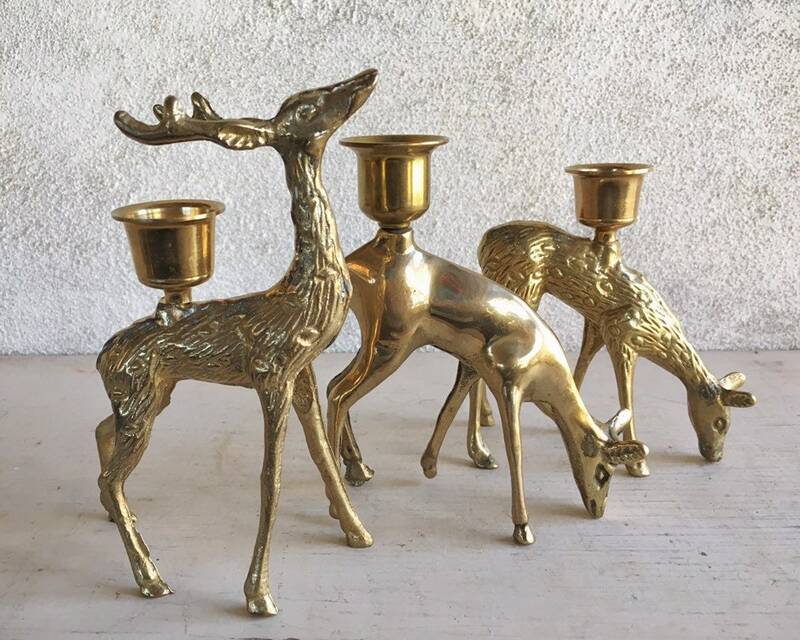 Perfect for lighting up your holiday evenings, and although deer have come to be associated with holidays, they also can bring a sense of calm to any room. 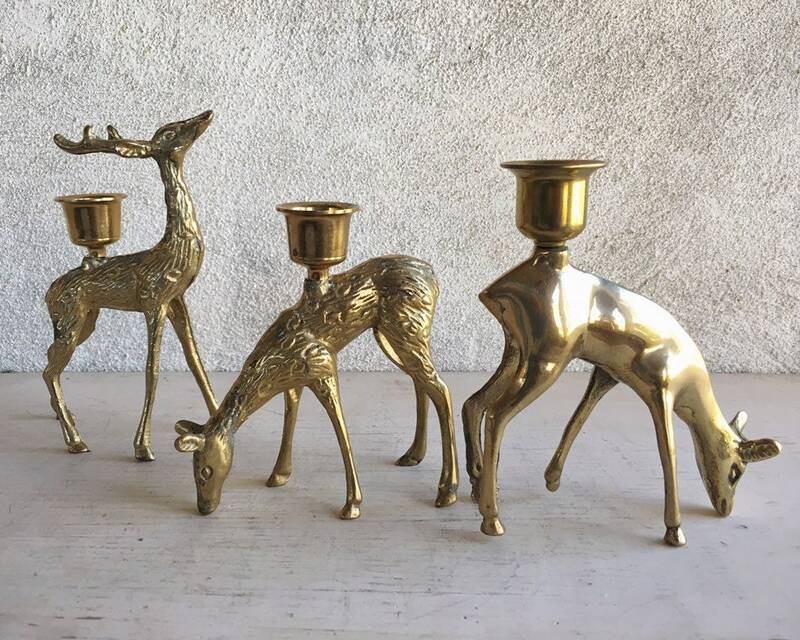 Each of the three ranges between 4-5" across by 4-5" tall. 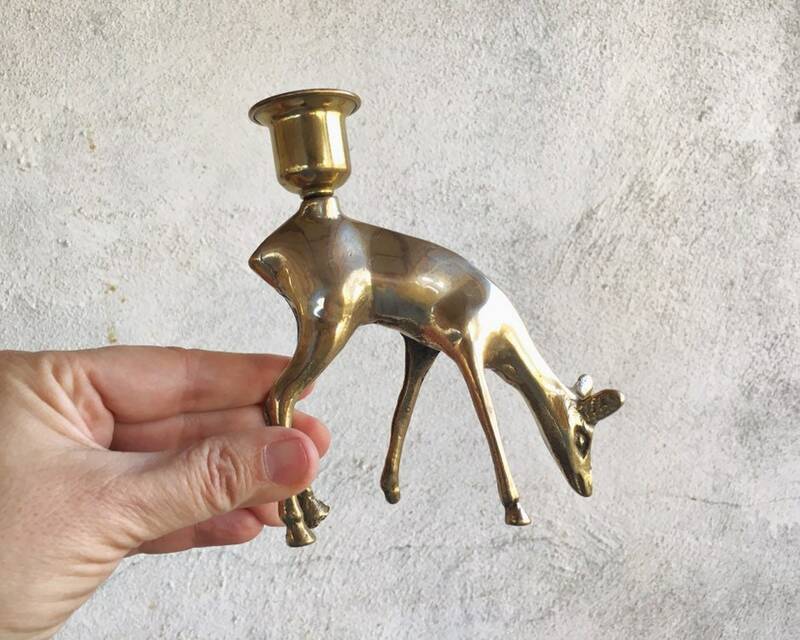 Some tarnish but otherwise in good condition. 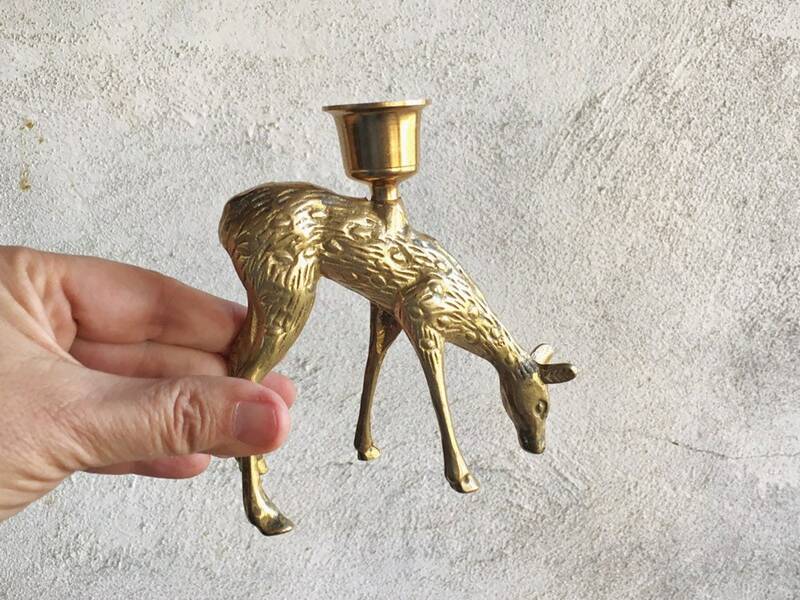 Doe and buck--harmony and happiness. Loving these so much! 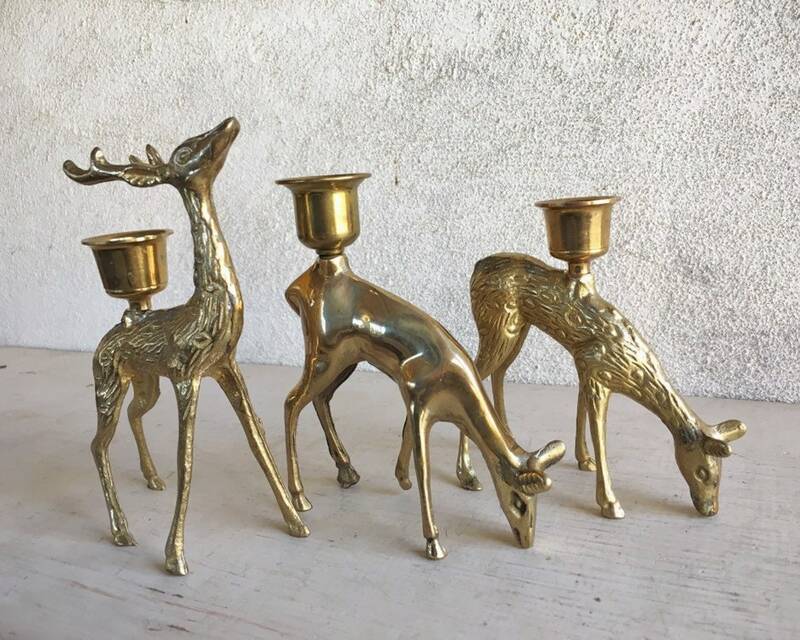 This is such a lovely set of deer candle holders. I received them today and they're already grazing on our dinner table. Thank you also for the kind and thorough responses to my questions and messages. I can wholeheartedly recommend this seller!